Rat traps in Heywood are necessary for rodent infestations. It is advisable to get professional help when dealing with rats on your property, since choosing and laying traps can become a complicated matter. Mouse traps may not be big or strong enough to effectively eliminate a rat problem, and rats are naturally suspicious of new objects in their environment and may avoid and ignore the trap. There is also the question of whether a spring trap or cage trap will be more effective, and what to do with the rat once it is trapped. To help you with your rat problem in Heywood, rat traps can be expertly installed by Pro-Kill Environmental. We have over 25 years of experience in the pest control industry, and can determine the right solution for your specific rat problem. We can successfully treat a rat problem in any number of settings, from agricultural, commercial and industrial to domestic. Over the years we have helped nursing homes, hospitals, schools, restaurants, government buildings and construction sites, among many more, efficiently eradicate a rat presence. We provide a comprehensive pest control service that ensures the removal of the infestation as well as preventative measurements to guard against future infestations. We don’t just supply rat traps in Heywood when there is a rat infestation. Our service includes a detailed inspection of your property, a clear-cut report on the infestation, and complete rat removal and rat proofing. 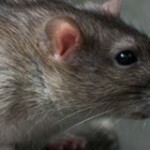 Contact Pro-Kill Environmental for rat traps and a full rat eradication service today. We are fully compliant with and members of the British Pest Control Association, as well as a number of other accredited organisations. We ensure that the service you receive is of the highest standard, from the ethical handling of pests, the health and safety measures we comply with and the environmentally safe products we use to the attention to detail, honesty, affordability and reliability of our handiwork. This entry was posted in Rat Trap and tagged Heywood Rat Traps, Rat Traps in Heywood. Bookmark the permalink.